White Widow: a specific type of cannabis seed that is very popular, especially in the Netherlands, but that actually has a multitude of fans worldwide. The potency of these weed seeds is embedded in the indica-dominance which ensures a powerful smoking experience that will definitely gets you stoned. 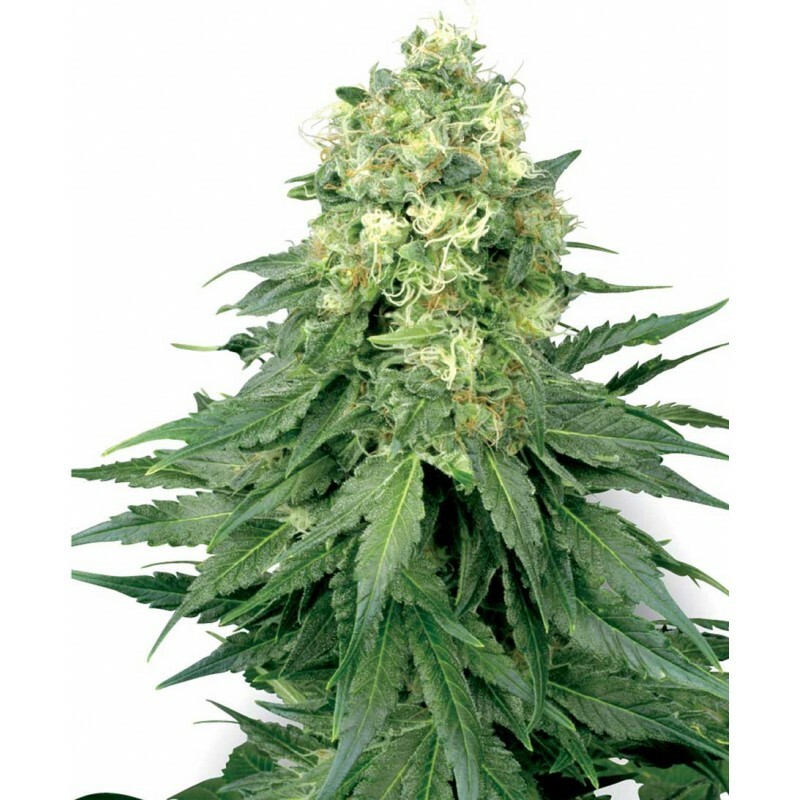 White Widow: a specific type of cannabis seed that is very popular, especially in the Netherlands, but that actually has a multitude of fans worldwide. The potency of these weed seeds is embedded in the indica-dominance which ensures a powerful smoking experience that will definitely gets you stoned. So, ideal for the smoker (and grower) who is looking for that effect. Also in terms of appearance there is little to comment on the White Widow: when you look at the cannabis seeds it is hard to believe that such a powerful resinous plant can grow from something that small.